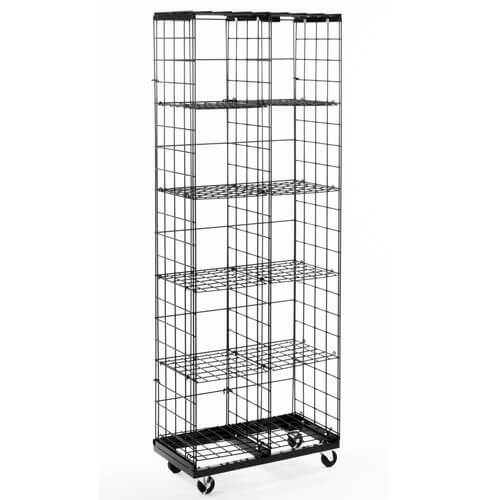 Mobile Wire Grid Cube Display is a versatile vertical metal display with adjustable shelves that you can move about your retail establishment, spa, or dorm room. 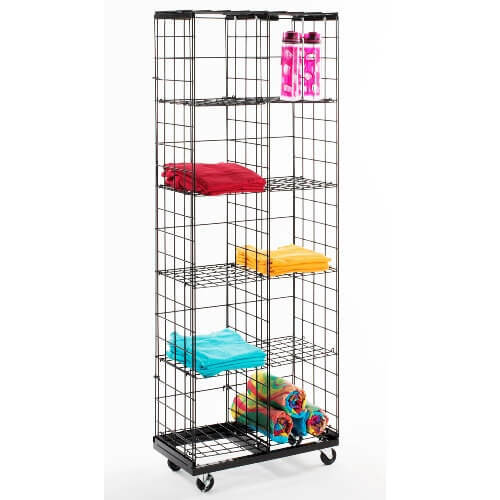 The image of this wire cube display is shown with ten 12 x 12 inch cubes, but you only receive eight square storage cubes to host various merchandise materials such as clothing and accessories, shoes, books, memorabilia, plants and so much more. Own a spa or pool? Display fresh towels for your clients to grab at a moments notice and offer various natural hygiene materials patrons may want to add to their home. 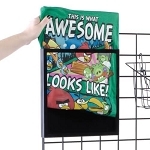 When college time rolls around, set your freshman up with one or more of these versatile storage racks from shoes and accessories to books. It adds a stylish look and they can use it to keep their living space neat and tidy. 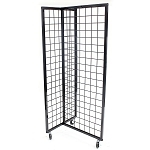 Add this sturdy and dependable display fixture to your store today! Order yours at Candy Concepts Inc.
Cube Dimensions Shown: 12" x 12"
Great Item! Exactly what i was looking for! !